Nancie Atwell is one of the scholars that have prolifically contributed to the literature on teaching literacy. Nancie is best known for her classic book "In the Middle: New Understandings About Writing, Reading, and Learning " in which she provides a thorough analysis to the workshop approach to teaching reading and writing. In the present book I am sharing with you today "The Reading Zone: How to Help Kids Become Skilled, Passionate, Habitual, Critical Readers" Nancie dwells on the importance of reading workshop and draws on insights from her 20-years teaching experience to help provide you with practical tips to improve kids reading abilities. As a teacher keen on getting your students engaged in meaningful reading activities and to foster a love of reading in them, the ideas and tips Nancie features in this book are definitely indispensable. With eloquence and a fine tuned anecdotal tone, Nancie's writing style marks a stark departure from those convoluted and mechanical rhetoric that populates didactic literature. While making a strong case for the integration of the reading workshop into classroom reading instruction, Nancie outlines a wide variety of students work samples, crafted classroom scenes, and paragraphs packed with invaluable teaching suggestions. 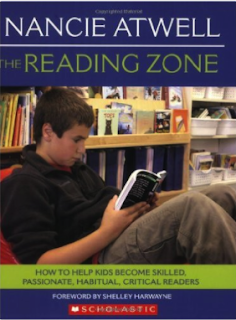 Ultimately, reading "The Reading Zone: How to Help Kids Become Skilled, Passionate, Habitual, Critical Readers" will provide you with the know-how to transform your reading instruction and probably redefine your literacy teaching goals.